Fall is in the air and that means I’m hard at work baking with apples and pumpkin! In fact, I spent last weekend making 6 delicious desserts and beverages combining these two favorites. One of the recipes I made happens to be for Bake a Difference with OXO For Cookies for Kids’ Cancer. I was given the recipe for Dorie Greenspan’s Pumpkin Whoopie Pies with Dulche de Leche Filling. It comes from her new cookbook Dorie’s Cookies. 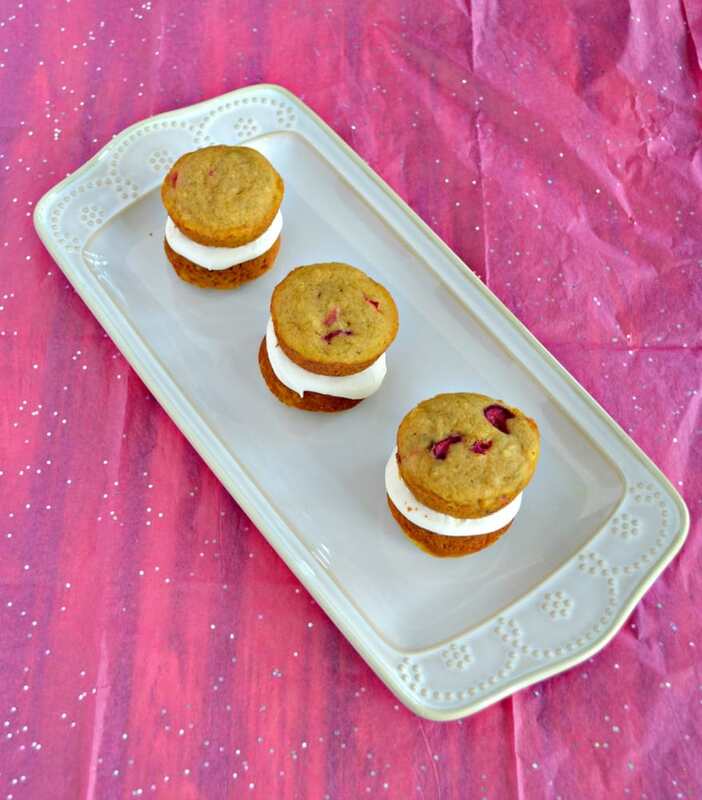 If they are all as good as these Whoopie Pie cookies then I can’t wait to get the cookbook! 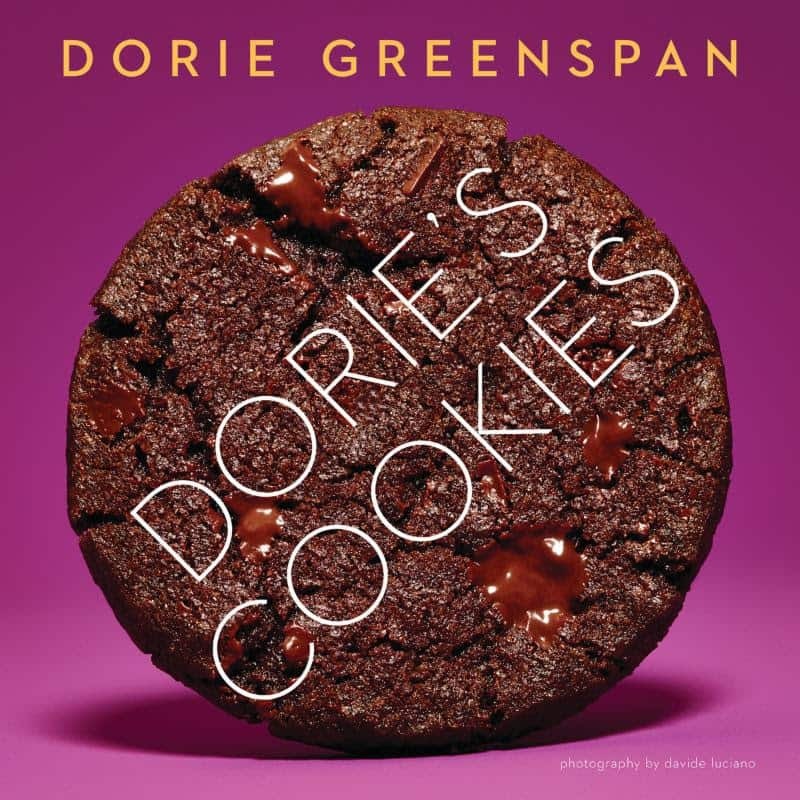 If you’ve read any of my cake posts you probably know who Dorie Greenspan is. She is the author of my favorite baking book and I often use her cake recipes for birthdays and holidays. They are some of the best cakes I’ve ever made so I knew the whoopie pies were going to be amazing too. The cool thing about this campaign is that OXO will donate $100 to Cookies for Kids’ Cancer for each blog post (up to a $100,000 commitment.) I’m excited because not only did I get to bake but it was for a good cause as well. Plus OXO sent me some awesome baking tools to help with the actual baking. So the first thing I had to do was make the cookies for the Whoopie Pies. 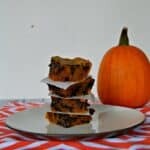 They are a delicious and perfect for fall Pumpkin Cranberry cookie. I whipped up a batch using my Illuminating Digital Hand Mixer. I love this powerful mixer that easily beat the thick dough and also has a light to illuminate what you are mixing! I used the mixer until I got to the cranberries. Since they are so delicate it’s easier to fold them in using Medium Silicone Spatula. Now the cool thing about these cookies is how they are made. They aren’t just plopped on a cookie sheet and baked. No they are scooped out with the Medium Cookie Scoop and placed in the Non-Stick Pro 12 Cup Muffin Pan. 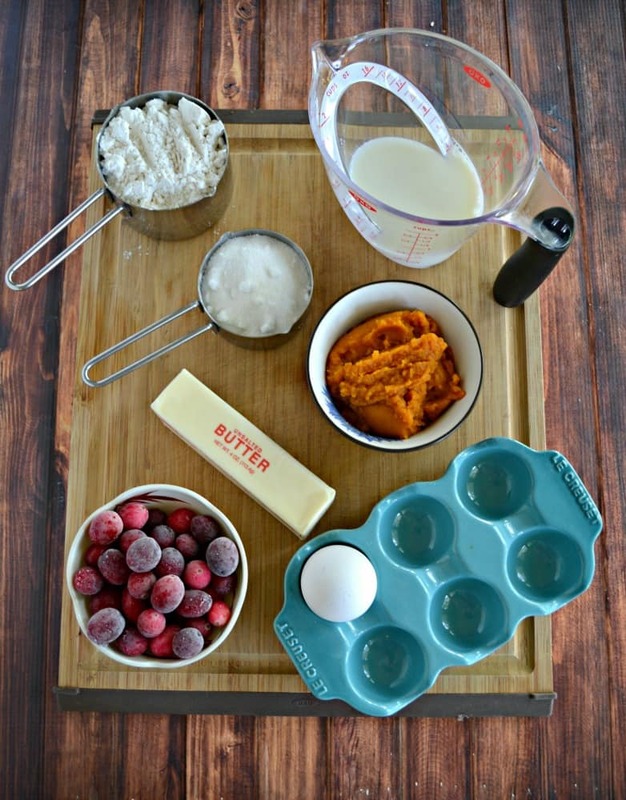 OXO’s Pro 12 Cup Muffin Pan is made with ceramic-reinforced, two-layer, commercial-grade coating that provides non-stick release and is scratch resistant and stain resistant. 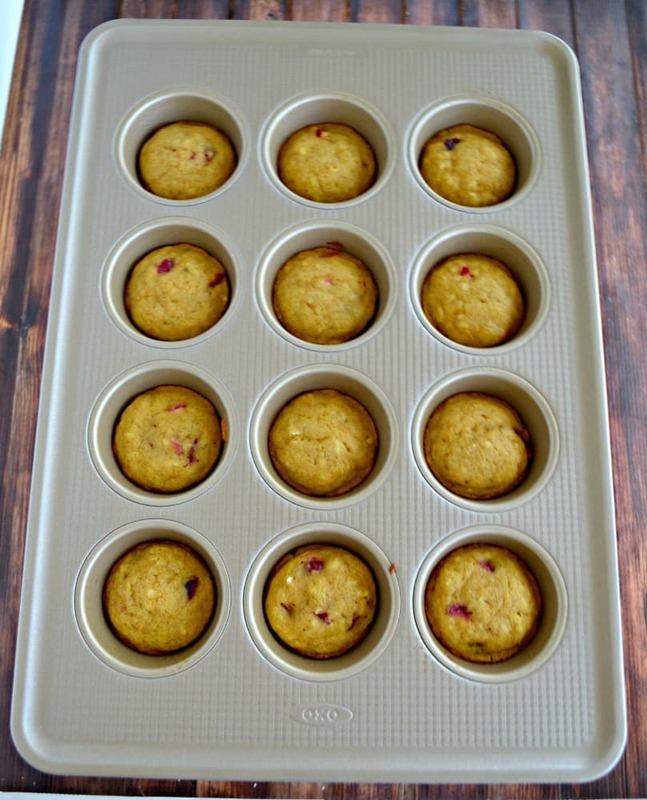 The cookies are made in the muffin pan so that they keep the nice shape of the pan. That means they all come out in a uniform shape which is important when making the whoopie pies. After they are done baking they cool on a rack and then it’s time to make the filling. 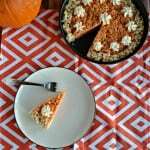 The filling was super easy to make using the Illuminating Digital Hand Mixer. I simply added the ingredients and mixed them on medium speed. Soon the mixture was ready to go in the middle of the whoopie pies. I simply place a small scoop of the filling in the middle of half of the cookies and topped them with another cookie. These whoopie pies are delicious! 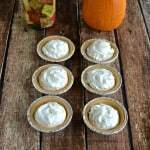 The sweet pumpkin cookies are soft and really hold the incredible dulche de leche filling. It’s the perfect fall combination. I took these cookies to my parents house for a family birthday party and everyone loved them. They were gone in just minutes. My only note is to put them in the refrigerator to help set the filling. Then a few minutes before serving take them out so the cookies have their wonderful texture. Make sure you give these a try this fall! 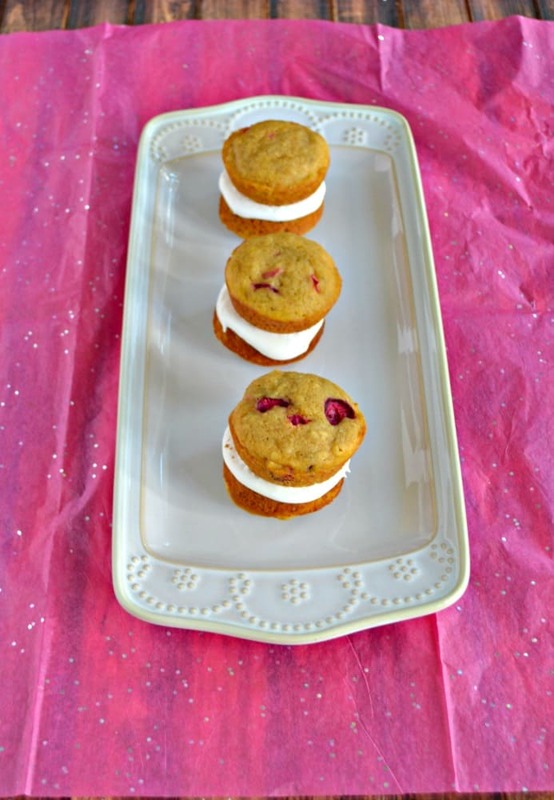 A delicious pumpkin cranberry cookie on either side of an incredible dulche de leche filling. 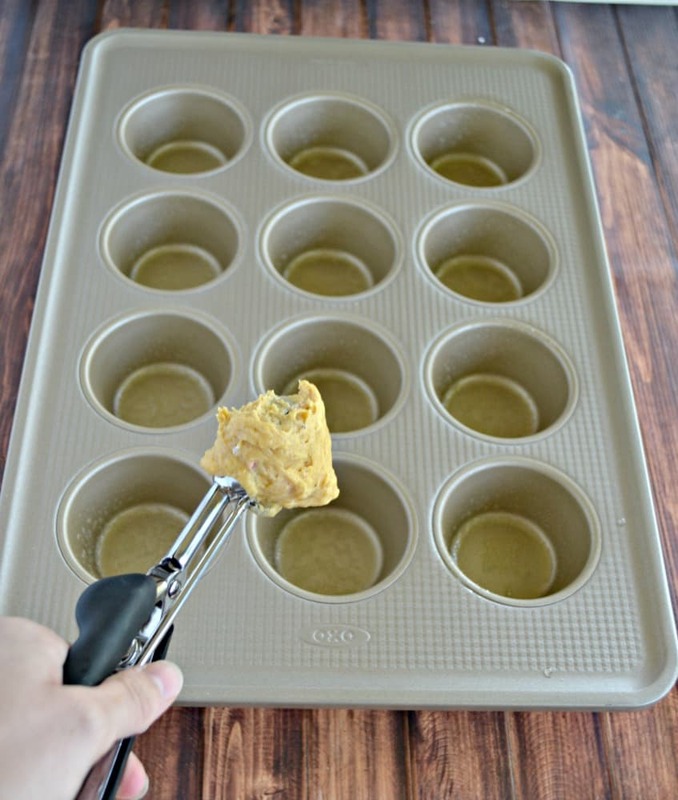 Position the racks to divide the oven into thirds and preheat it to 375 degrees F. Butter or spray two standard muffin tins (do this even if the tins are nonstick). To make the cookies: Whisk the flour, cinnamon, cardamom, baking powder and baking soda together. Working with a stand mixer fitted with the paddle attachment, or in a large bowl with a hand mixer, beat the butter, sugar and salt together on medium speed until smooth, about 2 minutes. Add the egg and beat for another 2 minutes or so, until creamy. Beat in the vanilla. Reduce the mixer speed to low, add the pumpkin puree and beat until it’s fully incorporated; don’t be discouraged when the mixture curdles — it will soon smooth out. 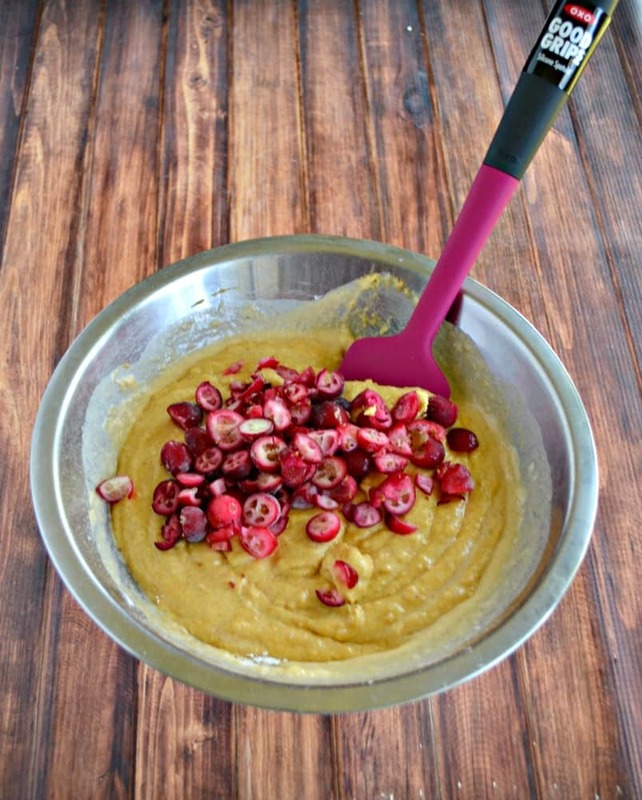 Turn off the mixer, scrape down the bowl and add half of the dry ingredients. Pulse to begin the mixing and then mix on low, scraping the bowl as needed, until the flour mixture is blended in. Beat in the buttermilk. Turn off the mixer, add the remaining dry ingredients, pulse and then mix on low until you have a lovely smooth batter. 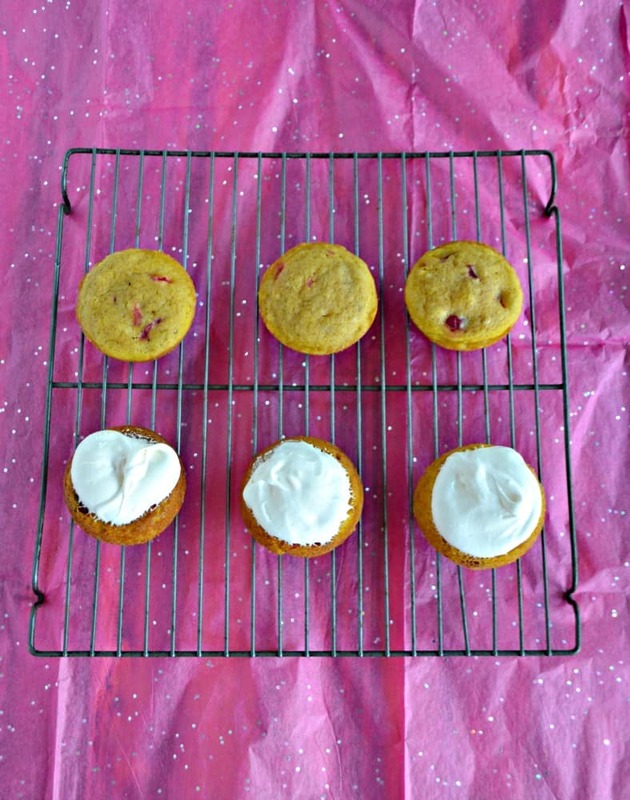 Switch to a flexible spatula and fold in the cranberries. Don’t be too thorough — it’s better to have an uneven mix than to break the berries and turn the batter red. 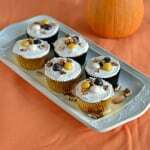 Using a medium cookie scoop, scoop out level portions of dough, or use a tablespoon to get rounded spoonfuls, and fill the muffin tins. The scoops of dough will sit upright in the center of the tins, but when baked they’ll melt evenly into the cups. Bake the whoopie pies for 11 to 12 minutes, rotating the pans top to bottom and front to back after 6 minutes, or until they are puffed, golden brown and springy to the touch. Transfer the pan to a rack and let the cookies rest for 5 minutes, then turn them out on the racks and allow them to cool completely. To make the filling: Working with a stand mixer fitted with the paddle attachment, or in a medium bowl with a hand mixer, beat the butter, marshmallow crème, sugar and salt together on medium-high speed, scraping the bowl and beater(s) as needed, for about 3 minutes, until very smooth. Lower the mixer speed, add the dulce de leche and beat until thoroughly blended. Using a spoon or a small cookie scoop, place the filling on the flat sides of half of the cookies; sandwich with the other cookies, flat sides down. The cookies can be eaten now, but the filling benefits from a 30-minute stay in the refrigerator. Just don’t eat them from the fridge — you’ll deprive yourself of the cookies’ wonderful texture. This post sponsored by OXO but all opinions and photos are 100% my own.